Generally speaking, all these brands contain far too much carbohydrate, over-use colorings and flavorings (next time you see a can of 9Lives, check the ingredient listing and see how high caramel color and titanium dioxide are on the list), and use poor-quality ingredients. All the brands involved in the massive 2007 pet food recall are part of the “Ugly” category. Two brands in particular strike me as worthy of avoiding whenever possible: Diamond and Nutro. In December 2005, nineteen different lines from three different brands they manufactured (Diamond, Country Value and Professional) were recalled due to aflatoxin contamination. In 2007, three of their brands were involved in the 2007 pet food recall, i.e., Diamond, Chicken Soup for the Pet Lover’s Soul, and Nutra). In October 2009, their Premium Edge cat food was recalled due to thiamine deficiency. Multiple massive recalls in 2012 because of salmonella contamination: April 6, April 30, May 5, and May 21. In 2013, they recalled several batches of kitten food due to insufficient thiamine. Note: The 2007 recall for Kirkland Signature food was due to the batch manufactured by American Nutrition, Inc. Note: Natural Balance is also packed by other companies, and a batch of food manufactured by Castleberry’s Food Company was recalled in July 2007 due to botulinum toxin contamination. The 2007 recall was due to food manufactured by American Nutrition, Inc. They market themselves as a “holistic” brand, but some of the meat meal they used for dog food tested positive for pentobarbital—which, if you believe the FDA, doesn’t mean it’s bad for your pet, but I, for one, am deeply, deeply skeptical. They were also involved in the 2007 food recall. In May 2009, they recalled six different formulations across two different lines of their cat food (Natural Choice and Max Cat) for zinc and potassium deficiencies. And again in 2009 for plastic contamination. And again in 2015 for mold issues. These brands market themselves as “premium” and typically charge a lot more than the companies listed above, but aren’t much better, with many of the names on this list part of the big pet food recall in 2007. The sad truth is, most of these companies use exactly the same manufacturer and exactly the same ingredients from exactly the same sources. These companies all use by-products, poor-quality ingredients, are far too high in carbohydrate, etc. They offer a stunningly bad value for your money. These brands claim that to use “human-grade” ingredients and seem to get the fact that cats are carnivores. This doesn’t mean these companies are perfect; they’re some of the worst culprits when it comes to throwing supplements that either don’t do anything, or are actually toxic to cats in large quantities, like alfalfa and rosemary. But by and large, the companies listed below are reputable and provide decent-quality food. If you mix and match a good variety of flavors and brands from the list below, you’ll probably be feeding your cats a better diet than 90% of all the cats out there. There are a few companies right now making raw food (either “complete and balanced” diets, whole ground prey or meat with bone you’ll need to add supplements to, or both) if you’re interested in giving that a shot instead of making your own. I’ve used and can recommend Wholefoods4pets, Hare Today, Nature’s Variety and Primal. Hi, I’m wondering how about BLUE (the brand)? How are they when it comes to cat food? They seem to be really good but I’m unsure. I’ve known some friends who’ve fed it, and they liked it OK, though they eventually switched to Wellness. I will say that Blue Buffalo has seen an awful lot of recalls, and their suppliers included the ones who provided the melamine-contaminated feed back in 2007. I would proceed with caution and feed only as part of a rotating diet. My wife and I use Blue Food in our house (it started out as just our hedghog’s diet) because they have an incredible balance of protein and vitamins. They don’t use a bunch of fillers like all these brands where the first ingredients listed are “chicken by-product,” etc. It’s a really great brand that the cats really dig too! Your mileage may vary, but I say no. I fed it to my cats once, thinking well its “premium” (it certainly cost enough) one of them got severe diarrhea all over the house (and yes I transitioned them to it). I ended up taking him to the vet. The vet said, usually this problem is with Dogs but she said NEVER feed a pet Blue anything. I had to feed him bland diet rice and chicken and give him probiotics. Vet said happens all the time with people feeding their animals Blue Wilderness. At the time I was rather embarrassed, I was sick with bronchitis and pleurisy myself, I had to ask my mother had to come down and help me clean and sterilize my house because of my poor cat. What r your thoughts on Acana Kentucky (US) made cat foods. I am seeing a lot of negative about the US part of the Ojiren/Acana brandSwitched recently from Blue Buffalo because they downgraded there ingredients from 4/5 meat first to 2/5 meat ingredients…. I personally wouldn’t feed Acana because it’s not quite high fat/high protein enough for my liking, especially for dry food. I haven’t heard any scuttlebutt about Orijen/Acana’s production facilities in the US, and wasn’t able to find anything with a cursory Google. Do you have any links? What are your thoughts on the newly marketed Crave cat food by Mars? Specifically the wet. I can’t seem to find much bad about them and the food seems to fit my cat’s medical needs for a high protein and low carb diet. He also happens to love it. However, I’m a bit worried about the fact that this food is sold in my grocery store right next to the Friskies and other lower end brands. Is this truly a healthy brand or are they hiding something? So the one big red flag about Mars is ingredient quality, which is impossible to tell just from looking at the ingredient lists and nutrient analyses. The Crave canned formulations are high-protein and reasonably high fat, which are both good, but they’re the same pet company who make Sheba, Iams, and a whole bunch of other low-quality foods. The salmon food lists beta carotene as a colorant, which immediately raises the flag that they’re using farmed salmon, which is typically grey-fleshed because commercial fish feed lacks the fresh shrimp which provide the vivid orange-pink coloration so characteristic of wild salmon. I’d approach it with some caution. These are the companies that tend to be careless with quality control and be implicated in horrible incidents like the melamine disaster in 2007. 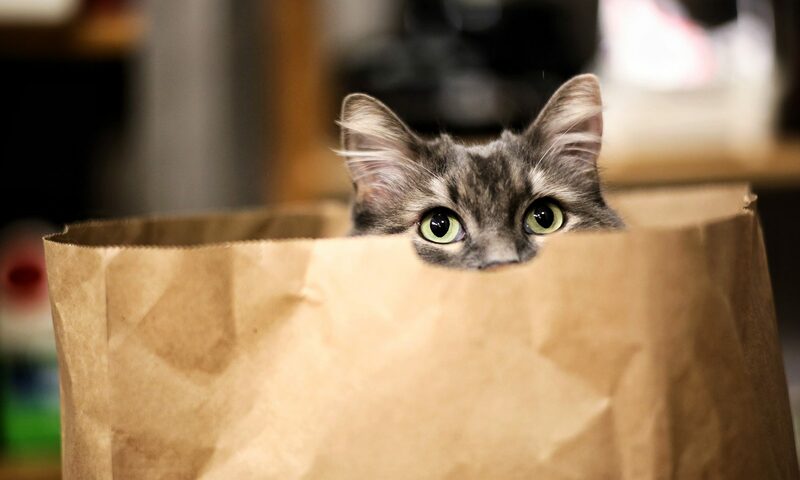 Big-name holistic/natural cat food brands are definitely not exempt—I avoid Blue Buffalo, Nutro, Pinnacle, and California Naturals, among several others, just because I don’t trust them. It’s ultimately a judgment call, because you need to work with the budget you have and what your cat’s willing to eat. I’d feed it as part of a rotating diet and not a sole ration. Good luck with your kitty and his medical needs! I fed a cat friskies until he developed a urinary tract infection. Then I switched to IAMS and Science Diet. My cat lived to just short of 20 years. I now have 2 healthy cats that have been fed Friskies for 12 years and they are doing well. If these brands are so bad, why are my cats doing so well? Why are you poo pooing these brands. Do they not pay enough for advertising because the internet discussions are filled with ads and not a straight discussion of the pros and cons. If I see a discussion that does not take several minutes to download, then I will seriously consider the discussion. If it works for your cats, great! Keep doing what you’re doing. It didn’t work out for my cats, so I switched. Food is a deeply personal choice, and all kinds of decisions go into the types of food we feed our pets. Health is one of the biggest but by no means the only factor. Not sure what you’re going on about re: ads because this website is purely my own thing and features zero sponsorships or advertisements. I am totally with you Bob! I had a Siamese that lived to be 22 years old and ate Meow Mix the first 15 years of her life. She had her first kidney failure at 15 and another at 21. One of my current cats, she’s about 13, has had a few bladder infections/UTI’s and has been on (what I like to call the world’s most expensive cat food) prescription Royal Canin. And some of the infections have been while on this expensive prescription food. So why is it that so many cats develop bladder, kidney, urinary tract issues after eating various brands of cat food regardless of price/quality? What is it? Maybe it’s just a coincidence. How about brand verus feline ..? What r u thinking and opinion. ..? I’ve honestly never heard of VeRUS! They seem like a really tiny boutique brand–they don’t appear to have any stores that carry their food in Oregon, where I live. The ingredient list for their grain free food looks reasonable; the food lines with grain look really mediocre, based on the numbers. The one thing that’s hard to assess here is ingredient quality, of course. If you’ve tried those foods, let us know what you think. What are your thoughts on Purina’s Kit & Kaboodle? I know Purina’s under the ugly category, but it’d specified either Cat Chow or ONE, so I was curious about your opinion on Kit & Kaboodle. I’ve been feeding the outdoor cats around my neighborhood this, and none of them seem to be having issues, but as they’re not my pets, I can’t take them to the vet to check anything. I can’t take them in, but I would like to be feeding them the best that I can afford since I don’t make too much money and Kit & Kaboodle seems fairly cheap and alright to me. Kit and Kaboodle honestly looks really terrible, but that said, you’re doing your neighborhood strays a solid AND you’re not made of money. My philosophy is and will likely forever remain: feed your fuzzbutt friends the best diet you can afford. The best cheap dry cat foods I could find were Rachael Ray’s Nutrish and the Purina Beyond line, but they’re both more than twice as expensive as Kit and Kaboodle. If you ever want to upgrade, I feel like these are reasonable options. In the meanwhile, Kit and Kaboodle is fine. Do you have any thoughts or information on Redford Naturals grain free indoor recipe? I just purchased this for my cat. I’d never heard of it! For those of you who had never heard of Redford Naturals either, it’s the house brand for Pet Supplies Plus, a pet food chain out in the eastern and southern parts of the US. The ingredients list looks okay for an Indoor formulation, and its guaranteed analysis numbers are slightly better than those for Wellness Core Indoor (for better or for worse, Wellness Core is my guaranteed analysis benchmark for premium grain-free cat foods, both wet and dry). My opinion about all indoor formulas, however, is that they’re a scam. They allow a manufacturer to take up more shelf space for their brand and charge the same price for a food that contains considerably less meat, always the most expensive ingredient in any cat food. It’s almost always better to feed a healthy cat the most protein-rich, nutrient-dense formulas and control weight through portion control and exercise. That said, you know your cat best, so feel free to ignore the opinions of this particular stranger from the Internet if you have excellent reasons to go with an Indoor formulation. The most important thing, more than the ingredient list, is the manufacturer for this food–do they have a track record of making food of poor quality and a history of recalls? According to Internet scuttlebutt, CJ Foods is the manufacturer. They seem mostly fine? Not nearly as prone to recalls as Diamond or Menu. What about earthborn my cat was diagnosed with cancer. I feed chicken. What about Sheba? Well, thank you for that. How do you expect us poor people to afford the good stuff? I’ve had cats since I was a year old (+60 years) and many of my cats lived to be 16+. Our first was 23 when she passed. My Princess Pinhead was 22 – one month and she got Purina, KalKan, and 9-Lives. I will admit that with companies throwing out quality in everything as they are so they can hoard more money as they are lately, these recalls will be more common place with more brands. 1. A diet high in carbohydrate is a major contributing cause of Type II diabetes in cats. 2. Diets consisting mostly of dry food are strongly correlated with urinary crystal formation in cats. My feeling is that you’ve gotten lucky with your cats. You didn’t adopt one who had irritable bowel disease, or who was predisposed to diabetes, or any other conditions that can be greatly helped by a highly-digestible, extremely low-carbohydrate diet. As for improving your cats’ diets when you’re cash-strapped: you can make small improvements here and there, depending on what you can afford. Supplement their diets with some high-quality canned food or high-protein kibble. If you live near pet food stores, most will give you quarter-pound packets of free samples, especially ubiquitous premium brands like Wellness or Nulo. I’ve even gotten samples of premium canned food, if the store is running a promotion on a particular brand. I’ve also found one flavor of Fancy Feast that a) cats love, b) contains an awesome nutritional profile, and c) totally reasonable ingredients: the Flaked Fish and Shrimp Feast. It’s nothing but chunks of fish and whole tiny shrimp in a bit of broth plus vitamins and minerals. My old lady who passed in October from chronic kidney disease loved it and would it eat it when nothing else worked, and I’ll occasionally snag a can when I’m at the grocery store because Callisto is pretty fond of it, too. You can even give your cats small bits of real meat as treats to help bump up the protein content of their diet, either raw or lightly-seared with no additional flavorings or seasonings—this should make up no more than 10% of their diet. For myself, I make my own cat food not only because it allows me to tightly control the quality of what my cats get, but because it’s so cheap per pound relative to premium canned food. Chicken thighs can be had for about $1/lb. if you go to places like WinCo, chicken hearts and livers are less than $2/lb., eggs are about $1.40/dozen, etc. It does take time and effort, and a one-time investment in a grinder that can handle bones (I have the Tasin TS-108 and it’s perfect for two cats). It’s still not as cheap as dry food, but very little is, and I think it’s worth thinking about why. That said, if you’re feeding the absolute best diet you can on the resources you have, and your cats are healthy and happy, then like I said before, more power to you, and continue with what you’re doing. I agree with the comments that every cat is different and if something works for your cat, then great. However, having had cats that have developed IBD, chronic UTI’s, etc,, I truly believe that the healthier the better. What you put in your cat’s gut will (for many, if not most cats) dictate how healthy they will stay. They may be ok for a while, but can develop intolerances. I have also done a lot of homework and believe that Nature’s Variety is good, and Nature’s Logic (Nature’s Logic is the ONLY canned food that doesn’t have synthetic vitamins, which are hell on a cat with IBD and Lymphoma). Appreciate being able to check with others to get their research and point me to more information. @Beth: Totally agreed that cat health can be strongly influenced by diet, and that feeding your cats the highest-quality diet you can afford is the best way to go to avoid several chronic health issues. I haven’t been able to find anything reliable on synthetic vitamins and IBD or lymphoma; if you want to share what you know here, that’d be great. If the lymphoma is found in the digestive tract, a high-quality diet will likely have some effect, but I can’t find anything that speaks specifically to synthetic vitamins. Wonderful summary. I couldn’t agree more. Thank you very much for posting this. My little feral tabby was in awful condition when we got him off the street ten years ago, and he’s had a ton of love and care since then, but (no surprise here) things fell completely apart about a month ago, sudden drastic weight loss, strange meows, and so on. The vet diagnosed kidney failure and moved us into Royal Canin (wet) Renal flavours and Hill’s (wet) tinned something that has a list of ingredients a mile long. Vet told us to avoid phosphorous at all costs, and also now we must do the daily subQ drip of 50ml each time. I do not know if this is working or not. The cat tolerates it but does not like it, and appetite for these foods ranges from ravenous to just fasting. Some Hong Kong people have the capacity to treat animals badly, but more and more feel as we do, and develop such strong bonds. I don’t even know what I’m asking here! Maybe just hoping for any comment or protocol that could steer us in a better direction. What is your opinion about Merrick Limited Ingredient Diet Grain-Free Real Chicken Recipe Dry Cat Food. It’s the only reasonablely priced non-grain cat food that I could find that did not have any fish products in it. I’ve emailed a few brands asking about which ocean they source their fish from. They all said the Pacific, yikes! I refuse to feed my cats with anything that has fish sourced from the Fukushima polluted Pacific Ocean. I’m switching over from Petsmart’s Authority cat food as soon as their food runs out. Candy, your list is very helpful and the comments and your responses are super helpful! Thanks for providing this much needed service of the good and bad for cat foods. I do have one question, you have Taste of the Wild listed in the BAD and then in the GOOD. Is it good or bad?! I see reviews of people not wanting to feed TOTW so I’m curious if you feel it’s a good cat food or not so good. Thank you. If your cat lived long and happy live on Friskies – congratulations! You got lucky! Unfortunately cats, like people are very individual. My Scottish-fold cat has super sensitive digestion, I would never feed him Frieskies, Whiskies or Fancy Feast, it causes him a bloody diarrhea. Meanwhile my rescue cat is insensitive to those at all, he will eat about anything and feel fine. While i am still in search for a perfect organic food that can feed both of my cats, I feed them Newman’s Own and Wellness on weekdays and weekends nothing but boiled chicken to boost their protein. If at some point your cat rejects chicken – be warned, the cat is getting hooked on the chemicals from the cat food, they are highly addictive and made so on purpose for you to keep on buying the brand. Omg! I always wondered why cats stop eatimg chicken. My siamese rescue will, but my Maincoon rescue who is older and my fur baby will not. I should try to slowly ween him. I always say he likes his “chips and cheetos” because he does tricks for treats but I rarely see him eat. Im starting to get scared of bad food but they have basically all had recalls except the ones in the ugly list… now im confused recall or cheap filler i would have no problem making my cats food most of the time if theyd eat it. I am curious if anyone has tried the refridgerated food at supermarkets and Target? My cats will eat it, but is it ok? Its expensive but at this point Im willing to but anything that isnt crap! What is your opinion of PERFORMATRIN ULTRA pet value brand. I’ve been feeding it to my dog because she has a sensitive tummy, but the cat food is grain free too and I have heard that grain free helps keep fel d1 down.